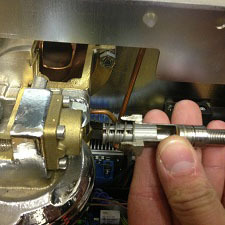 The espresso machines in the world are constantly expanding, many companies are looking for espresso machine technician. 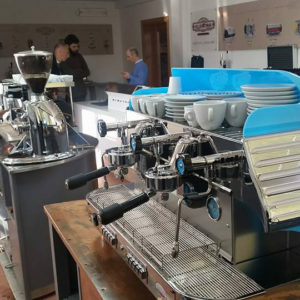 Our professional course for repairers and maintenance of espresso coffee machines is structured in collaboration with espresso machines companies (as Elektra and others) and designed to create figures of technicians to be also hired. 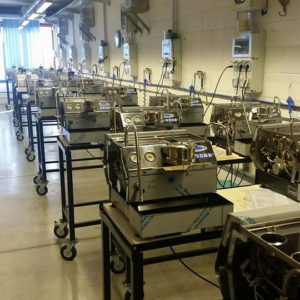 In two very full days the course for maintenance of espresso coffee machines starts with machines built with different technologies; from the heat exchanger machines to the spring-lever, the double boiler and the more modern machines. 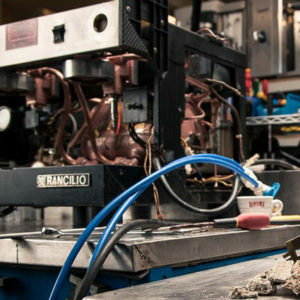 Then we proceed seeing the setting and installation of the espresso machines and we follow with the basic maintenance, the replacements of worn elements, the variations in pressure and temperature and the most common damages as descaling. 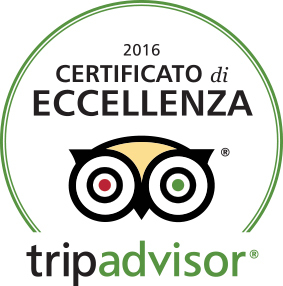 The coffee machine maintenance course is certified Italian Barista Method and the company is ISO certified. Contact us for info and booking! The dates of this course are often coordinated with our “One week coffee route“, just check in this page to discovery how to get more courses (or all the courses) in a single trip (and to enjoy a vacation in Florence!). The course is two days long, from 10 am to 5.30pm. 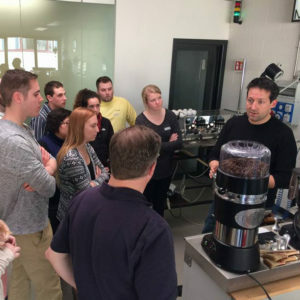 This course is held in Florence, Tuscany, Italy, a few minutes of tram from the main train station of Santa Maria Novella, into the Mokaflor roasting company. The different types of machines: lever, heat exchange, Faema E61 Model, double boiler and multi boiler. Installing a new machine: wiring and tubing. How to regulate temperature and pressure of a professional machine. Extraction profiles. Setting the volumetric dose in semi automatic machines. Types of filters and competition shower heads. Introduction to the characteristics of water for espresso: measuring TDS, Hardness and Alkalinity. Problems that depend on temperature and pressure. The cost is 250€ including the books used during the course. This course is often joined with “One week coffee route” a complete journey in the world of coffee that includes days dedicated to barista skill, latte art, coffee shop management, roasting, professional tasting and brewing.